It’s that time again! Football is around the corner, and the BC Lions have added new cubs to the den in the 2018 CFL Draft. Here is a recap of the Lions picks today. Ed Hervey did what most thought he would do and addressed the offensive line with his first selection in the draft, 3rd overall. Peter Godber is a physical player who may be ready to contribute sooner than later for the Leos. His football skills are impressive and he’s also set himself up for life after football, majoring in Sports Management and Kinesiology. 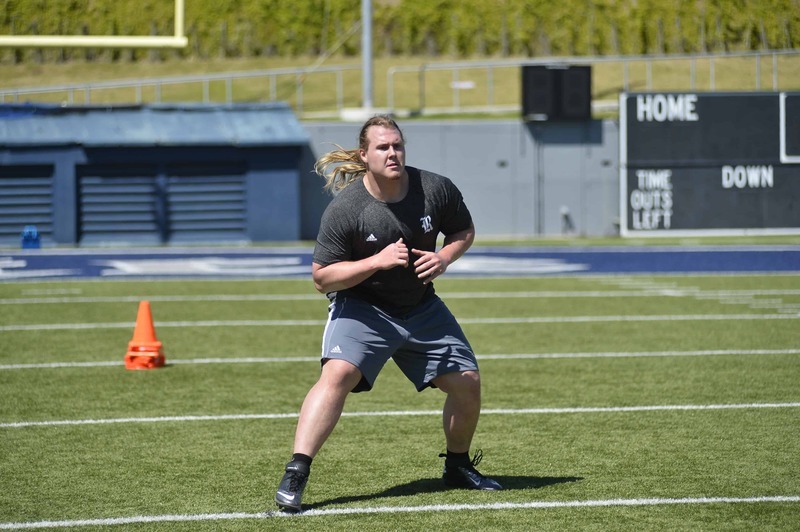 Gobder soured some in football circles with his decision not to test at the CFL Combine, and was sent home after he announced he would opt for a pro-day showing instead. He is represented by agent Jonathan Hardaway who has a reputation of focusing on NFL deals for his client and being a tough guy to negotiate with. 36 reps of 225 pounds on the bench press. Godber, a known gym rat played at a high level starting 35 of 48 games during his NCAA career at Rice, and would be a solid addition to the interior of the Lions offensive line. His addition will push the likes of David Foucault and Charles Vaillancourt for the starting right guard spot after the Lions parted ways with Kirby Fabien this off-season. Godber doesn’t have the highest ceiling in the draft but they’ll get him right away (and he’s better than Rutherford). Hervey went to the defensive side of the line of scrimmage with his 2nd pick of the first round. With the 7th overall pick they secured in Wednesday’s trade with Winnipeg, the Lions selected defensive tackle Julien Laurent out of Georgia State. A two-year starter, Laurent anchored Georgia State’s offensive line that was stingy against the run in 2017, and was part of a defence that helped set school records for fewest points per game allowed (24.5), fewest rushing yards per game (136.4), fewest yards per rushing attempt (4.13) and most sacks (24). Laurent tied for the team lead with 6.5 tackles for a loss, 24 tackles and a pass breakup. A key component of the Mustangs offence, Mackie earned his first OUA All-Star nod this season, earning a spot on the 1st Team. He is described as a versatile player and is good at picking up blocks as well as catching the ball out of the backfield. His skills as a long snapper could prove valuable as well as contributions on special teams. He was the 18th ranked prospect in the draft. The Lions have gotten 11 solid seasons from Rolly Lumbala, who isn’t done yet, but the Lions have added some depth at the position. Knevel, who was at one time the top ranked player by the Central Scouting Bureau, the sees himself as a tackle. The Lions have taken chances on players like this before, both with Danny Watkins and Brett Boyko, that haven’t panned out. But the pick is very solid if Knevel, who says he’d love to play in Canada if the NFL doesn’t workout ends up coming North. Here is Knevel talking about his pro-day performance. The Lions went back to the defence and picked up defensive back Isaiah Guzyak-Messam in the 4th round with the 34th overall pick. The Lions originally didn’t have a pick in the round but swung a deal with Montreal, sending the 36th and 46th pick to the Alouettes. At 6’1″, 207 lbs, Guzyak-Messam played in 7 games in 2017 registering 2 interceptions, 28 tackles and 7 pass knockdowns. As you’ll see by his 2018 highlight tape, he likes to hit…hard. The Lions stuck with the Laurier Golden Hawks in the 6th round after sitting out the 5th, selecting defensive lineman Rashari Henry. Playing from the defensive end position Henry was a teammate of one of last year’s impact picks, Kwaku Boateng of the Edmonton Eskimos and has also been inspired by former Lions first round pick Ese Mrabure, who is now with the Saskatchewan Roughriders. Here is a great piece on Henry’s CFL Combine experience in his own words. The Lions looked in their own backyard with their 7th and final pick of the day, selecting UBC’s William Watson with the 54th overall selection. Watson was named to the College Football America 2017 Yearbook U Sports Starting Lineup, CFA’s version of an All-Canada team. The Lions have Danny Vandervoort looking to play a bigger role, but the retirement of Marco Iannuzzi adding some depth at this position couldn’t hurt. Will is a scrapper who has a real underdog mentality. He’s got marginal size but he will work for you, guaranteed. Struggled with drops earlier on in his uni career but worked to improve that and also became a polished route runner. He’ll battle well for contested balls and elevates well for a smaller guy. Has done some returning but has never been the main guy there. Certainly motivated and could be tough enough and athletic enough to stick as a teamer. One other thing to keep in mind about Will… Geroy knows him better than anyone. All in all it was a solid day at the office for Ed Hervey and the Lions. Next up training camp…it’s great to have football back. I’ll be chatting with Eskimo Empire Podcast host Andrew Hoskins and Travis Currah of the 2 and Out CFL Podcast about the draft and other CFL topics this weekend on a special Episode of the BCLionsDen.ca Pawdcast. Stay tuned! Growing up as a young sports fan, there was no internet, no cell phones, many games weren’t even televised. Every morning for years my dad would fetch the Vancouver Sun from our front door, and he would take out the sports section for me. It was a must do ritual, as I couldn’t get enough of the articles about the BC Lions, the Canucks and the Whitecaps. Sports writers are storytellers and conduits of information for sports fans across the province, and I often dreamed of doing the same for a living one day, though I never followed that dream. 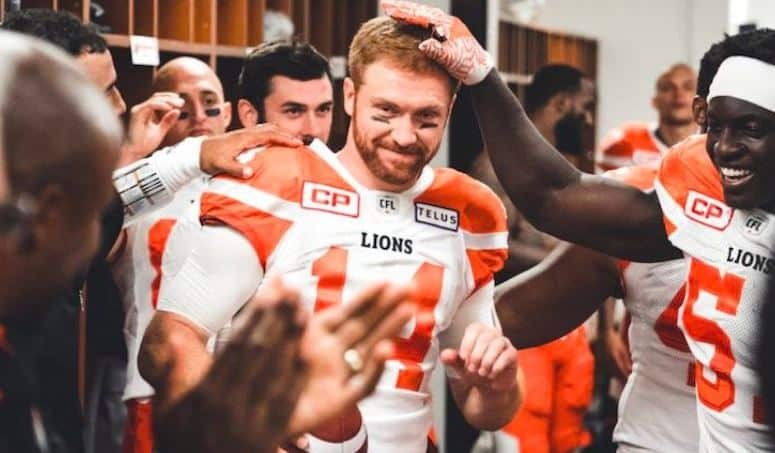 Within the last two years, Vancouver and the province of British Columbia have lost two of the best and two men who provided BC Lions fans with the most reliable, professional and in-depth coverage of the team. First, it was Lowell Ullrich of The Province, and today Vancouver Sun writer Mike Beamish announced he was retiring after 43 years on the job, many of those covering the Lions. Thankfully others have brought Lowell aboard so we can continue to enjoy his work. Hired: Nov. 27, 1974. Retired: April 21, 2017. After 5 decades of sports writing, my @VancouverSun career ends. Farewell faithful readers. The industry has claimed another victim, but maybe Mike was ready to go anyway. He’s worked hard and has earned a relaxing retirement, but what’s happened in the newspaper industry is a shame. The talented journalists who have brought us up with their stories are being forced out, skeletal staff remain and we the readers are the worse for it. Social media has created a whole new world of competition for the papers, radio stations and television stations. Everyone has a camera, everyone has access to information as it happens, or thinks they do anyway. What do we need newspapers for? Well for one, we need the talent that these writers possess. We need the diligence that they do their jobs with to ensure that a story is correct. Journalists are the ones that hold people accountable, and report the news has it should be by getting it right the first time. I’ve always enjoyed talking about sports and particularly took a liking to the CFL and the BC Lions. Writers like Lowell Ullrich and Mike Beamish were part of that, as I’m sure they have been for many, many others. I started this blog because of that dream I talked about earlier and because I felt there just wasn’t enough Lions coverage in a Canucks crazy market. I had the pleasure to deal with both Lowell and Mike over the years and they treated me with nothing but respect. They were always accommodating to me as a blogger and a podcaster, even allowing me to bounce a few fact-checking questions of my own off them from time to time. However the media rebrands and reinvents itself, it’s important that we support it. Journalism is an important part of our society, and we should never, ever let it die. Lions fans have lost two hall of fame worthy writers in the last two years. They won’t be easily replaced.